malaria, one of the world’s oldest and deadliest diseases. We are ready to beat malaria. Are you? This World Malaria Day, join the RBM Partnership to End Malaria and hundreds of partner organisations across the world to help beat malaria, one of the world’s oldest and deadliest diseases. World Malaria Day, which takes place on 25 April each year, is an internationally recognised day, highlighting the global efforts to control malaria and celebrating the gains that have been made. Since 2000, the world has made historic progress against malaria, saving millions of lives. However, half the world still lives at risk from this preventable, treatable disease, which costs a child’s life every two minutes. Host or participate in an event this World Malaria Day – click here to find out about events happening around the world. We urgently need to do more to beat malaria and save millions more who will otherwise needlessly die from the disease. This World Malaria Day, declare you’re ready to beat malaria. If we don’t seize the moment, our hard-won gains against the disease will be lost. How you can get involved and get ready to beat malaria this World Malaria Day. Whether you are an organisation or an individual, join us and take action this World Malaria Day. Declare you’re ready to beat malaria. We have developed a range of World Malaria Day campaign materials for organisations to download and disseminate to their members. These include a toolkit featuring stats, facts and key messages, to help you promote World Malaria Day and the activities you’re hosting to mark the day. Many of our partners will be holding events on World Malaria Day – from schools to parliaments – to raise awareness about global efforts to fight malaria. Tell us about events you’re holding to mark World Malaria Day and we’ll upload them onto our interactive map. 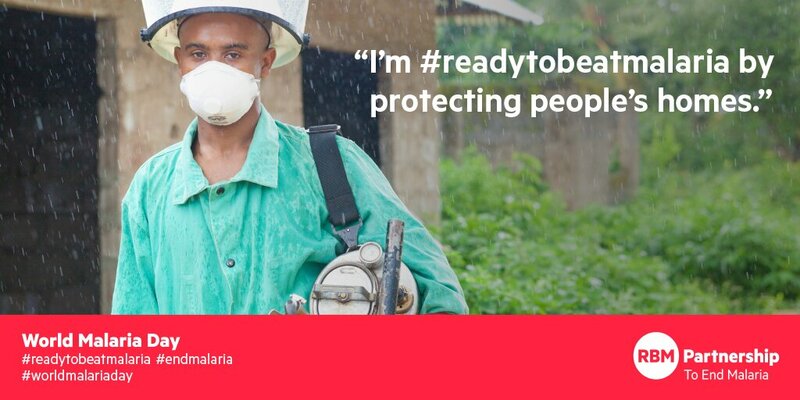 Use the campaign hashtags, #readytobeatmalaria and #endmalaria to show your organisation is declaring to beat malaria this #worldmalariaday and ‘like’ and share World Malaria Day campaign materials on Twitter, Facebook, Instagram and Linked-In. We have also developed suggested social media posts to help promote World Malaria Day. • Many of our partners will be holding events on World Malaria Day – see here to find out more about events taking place across the world. • If you live in a malaria affected area, help your family and friends beat malaria: sleep under an insecticide treated bed net, use a mosquito repellent and see a doctor in case of malaria symptoms. 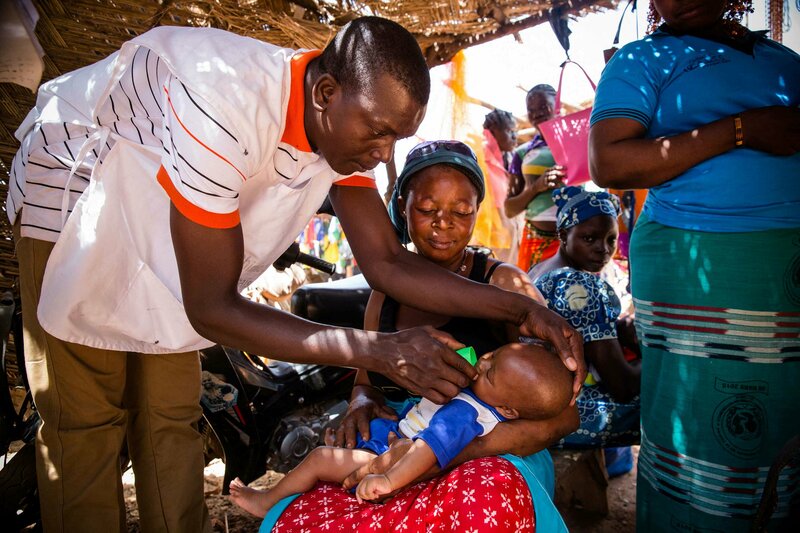 • We need to ensure that malaria remains high on the political agenda – write to your political leaders or local representatives, and find out about local groups that advocate for better malaria prevention and treatment and how you can help them. • We would encourage anyone who can afford to, to donate to our partner organisations who do amazing and hugely valued work. • Pledge your support for malaria action on social media using the campaign hashtags #readytobeatmalaria and #endmalaria, along with #worldmalariaday and ‘like’ and share World Malaria Day campaign materials on Twitter, Facebook, Instagram and LinkedIn.